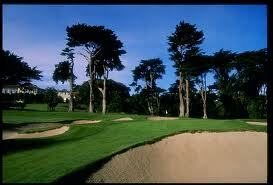 The U.S. Open will start on Thursday at The Olympic Club outside San Francisco. Phil Mickelson and Tiger Woods will be paired together for the first two days of the tournament along with Bubba Watson the current Masters champion. Wood and Mickelson have not been paired in the U.S. Open since 2008 when it was played at Torrey Pines and groupings were made by rankings. As he usually does, Woods said the pairing would have no affect whatsoever on his game the first two days. Mickelson however could not stop talking about how many people with cameras and cell phones will be parked at the ninth tee when the three tee off Thursday morning. Woods said he did not expect too much talking to go on between the three players since it is a major championship and the course will be playing particularly difficult. The last time Mickelson and Woods were paired was in February when Mickelson beat Woods at Pebble Beach. In the 2009 Masters, Mickelson also bested Woods the year Angel Cabrera won the green jacket. Mickelson has not had the results at the U.S. Open that he has enjoyed at other venues. He has been a runner-up a record five times for the championship and had some very embarrassing moments take place at golf’s most difficult test. Woods is coming off a win two weeks ago at Muirfield in an event where Mickelson withdrew after just one round. He will be vying for his 15th major trying to catch the 18 won by Jack Nicklaus.